"Oh, Mr. Green Lantern. Are you afraid?" "When you're about to learn something you will never be able to unlearn. "Something that puts all the pieces together, and you finally see the truth, and the world changes. "And you know it'll never go back the way it was before. "But if you're so very brave, then just open the door." Just open the bloody door, Hal!! So we can find out precisely who, and what, is in the secret cave inside the Bat Cave. "Seriously. 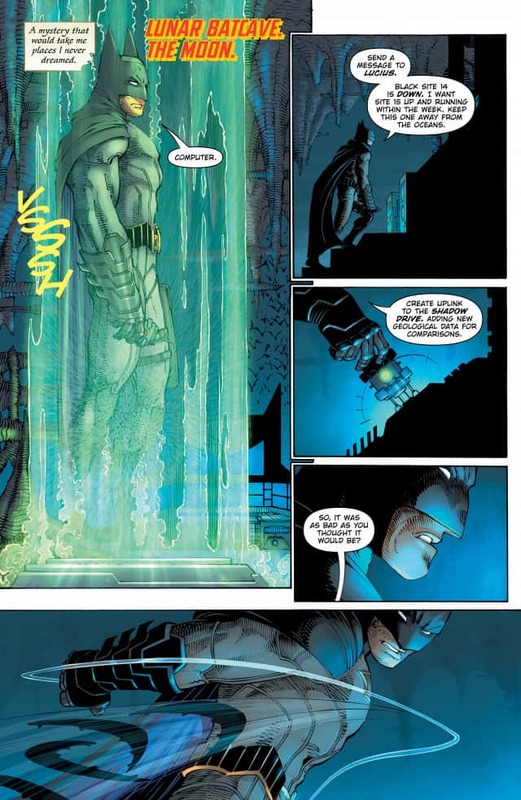 Only Batman would have a secret cave inside his secret cave." Yes, I can promise you more than a certain degree of mystery in these two intriguing set up one-shot issues of DARK DAYS: THE FORGE and DARK DAYS: THE CASTING that is already a million times better than the execrable mess that was CONVERGENCE. I probably shouldn't be surprised this was great, given the writers are the long-time Bat-scribes Snyder and Tynion IV, plus the stellar trio of artists Jim Lee, Andy Kubert & John Romita Jr. on the pencils. But still, I've been burnt far too often with these big summer events. 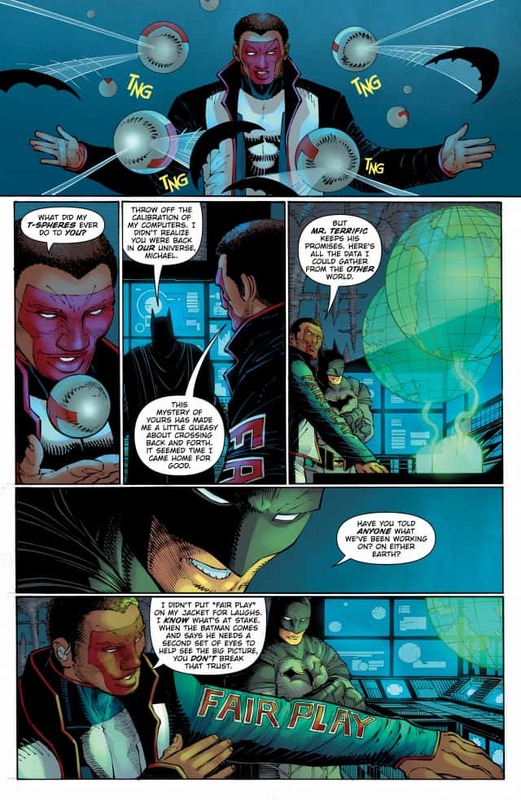 Piece by piece, what little information Batman has acquired is laid out for us, along with some cautionary insights from Carter Hall a.k.a. 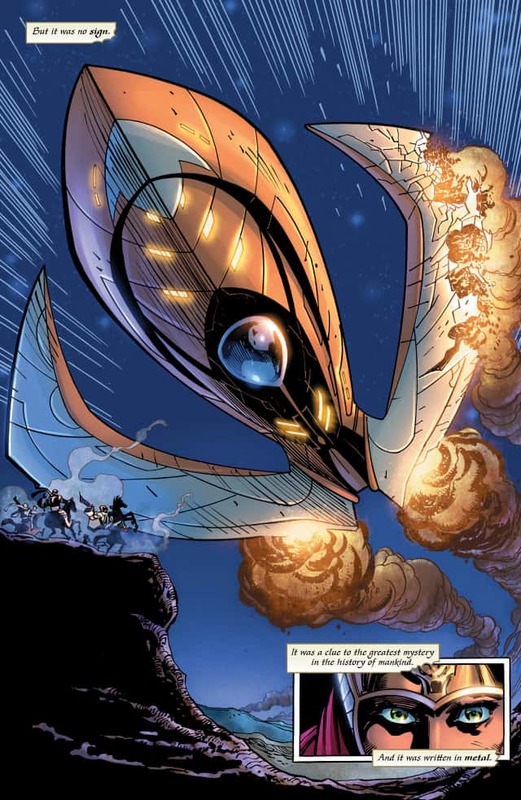 Hawkman, who has his own particular clandestine parallel interest to Batman's investigations. 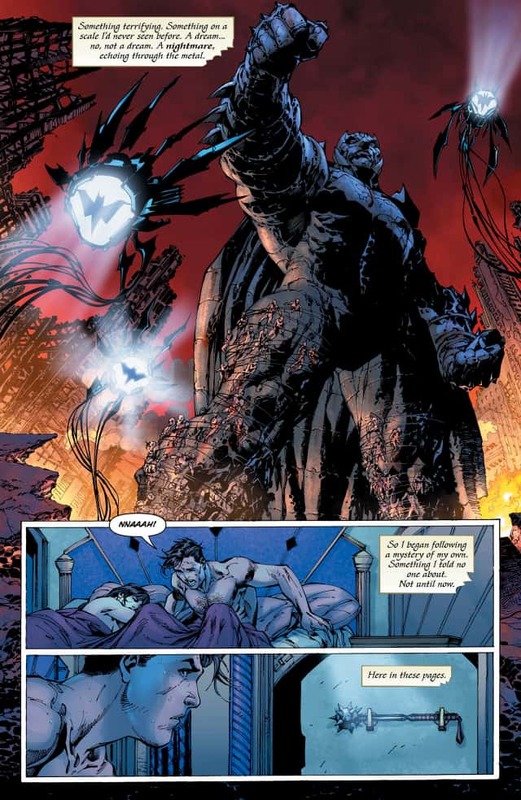 At the time of reading the one-shots, I thought there was a little nod to Grant Morrison's BATMAN: THE RETURN OF BRUCE WAYNE that had Bats twizzling through time following the climax of FINAL CRISIS, which also seemed to be alluded to. So very kind of DC therefore to bolster these two new issues by including BATMAN: THE RETURN OF BRUCE WAYNE #1, FINAL CRISIS #6-#7, BATMAN (New 52 era) #38-#39, NIGHTWING (again New 52 era) #17 and more! Just utter corporate greed. 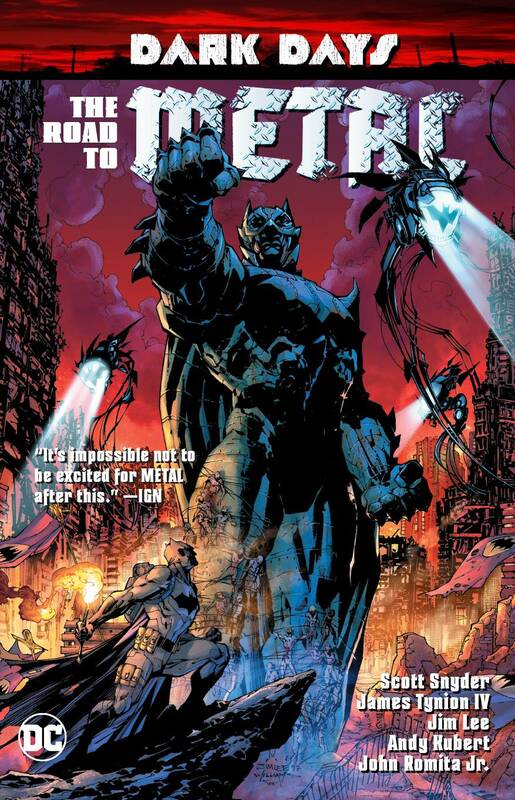 There is absolutely no reason why these new two one-shots, which are basically issues #00 and #0 of DARK DAYS METAL could not have been included in one hardcover with the six issues that formed the 'main' series. They are printing (nearly) eight issues in this volume after all... 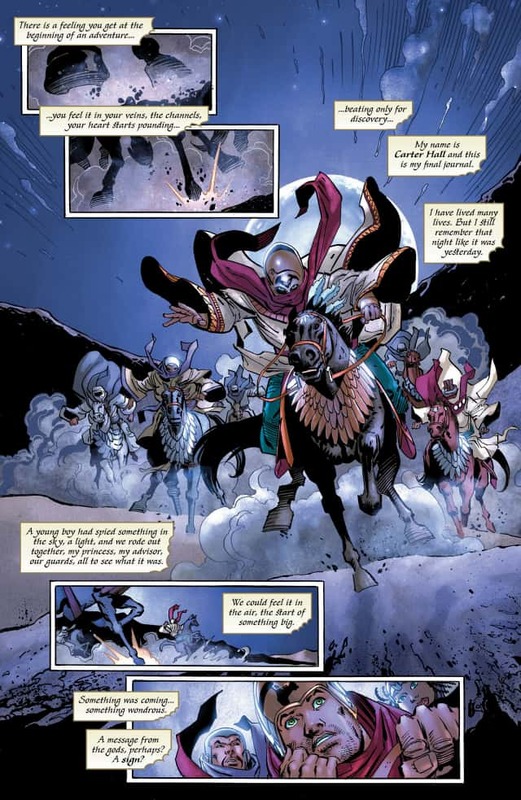 It is disappointing because it is exactly the sort of nonsense I would fully expect Marvel to pull, and charge twice as much whilst they are at it, but I had felt in recent years DC were actually about giving readers better value for money than Marvel. Hey ho. Can I just add, above grumble aside, I did rather enjoy the Metal event.